Martin Simpson was born in Lincolnshire, Northern England, played his first paid gig at fourteen, became professional at seventeen, and since then has become known as one of the most widely admired acoustic guitar players in the world. He has played with such musical luminaries as Richard Thompson, Steeleye Span and Fairport Convention as well as working in the Albion Band and for 10 years as collaborator with June Tabor. More recently he has shared stages with Steve Miller and David Lindley, as well as recording with Ronnie Earl, Bob Brozman, Ed Gerhard, and a Chinese pipe player. His solo guitar performances showcase his mastery of the guitar as well as his far-ranging repertoire. Martin achieves a very clear bell-like tone with his Sobell Model One guitar (crafted by Northumberland luthier Stefan Sobell), on which he is using medium gauge strings. He adds that it's his favorite guitar. Martin's dynamic solo guitar performances are legendary, showcasing his mastery of the acoustic guitar as well as his far-ranging repertoire. Simpson emphasizes that his approach to arranging traditional Celtic tunes in fingerstyle form comes more from the realm of songs than from the instrumental tradition. In other words, most of these pieces he arranges for guitar normally have words. The songs he arranges speak of many topics, including love gone wrong in both the upper and lower classes of early 19th century Scotland. Arrangements In Alternative Tunings. Martin Simpson has pioneered the use of altered tunings to bring out the widest possible harmonic range of the guitar, and each of the songs on this DVD features that special sound. You'll learn three Scottish airs in dropped-D tuning: "Rosie Anderson, The Shearing's Not for You, and Bogie's Bonnie Belle". Then, on to an altered G tuning for two traditional American tunes, the evocative "Pretty Saro" and the spectacular "Long Steel Rail". For the latter Martin teaches his unique guitar frailing (most commonly used by claw hammer banjo players), combining it with hammer-ons and pull-offs in a stunning display of guitar virtuosity. Finally, you'll learn one of his powerful original compositions, "Santa Cruz". Martin reveals his ideas about guitar musicianship and chord theory; how to get good tone; techniques for moving up and down the neck' the uses of movable scales and chords, hammers and pulls, harmonics. This DVD will inspire guitarists of all levels and styles! Working in alternate tunings, Martin covers a broad spectrum of songs. He plays, sings, and analyzes "Jock O'Hazeldine", a Celtic air in dropped D, showing how to find the basic melody and then fill out the arrangement to make the tune more elegant. "Banks of the Bann" has its melody in the bass, and you'll learn how to embellish it and then move it into the higher octaves. He finishes with a complex and beautiful carol, "In The Bleak Mid-Winter", again played in dropped D tuning. This lesson with one of the acoustic music world's most expressive guitarists will teach you some gorgeous instrumentals and show you how Martin arrives at his distinctive settings and harmonizations so that learning guitarists can develop their own unique arrangements! Martin Simpson Plays "The Cuckoo Bird"
Developing Style and Repertoire. Get ready to dig into more of Martin Simpson's beautiful and compelling guitar arrangements in alternate tunings. He begins his third DVD lesson with "Donal Ogg" and "My Generous Lover", tunes that highlight the richness of 'G sus.4' tuning. "Betsy The Serving Maid" is first sung unaccompanied, then Martin teaches the basic melody on guitar. He gradually adds bass notes, harmonies, chordal structure and percussive beats, finishing with a full performance of the tune. One of Martin's showstoppers is his spectacular rendition of "The Cuckoo Bird", featuring a mountain minor banjo tuning. He slows down this driving Appalachian tune to analyze his unusual and dynamic right hand picking style. This one song is guaranteed to keep you busy for months! Finally, Martin turns his discussion to DADGAD, using the Irish fiddle tune "Miss McClouds's Reel" to illustrate how you can build a guitar instrumental using this popular tuning. This lesson, along with the others in this three-DVD set, will open up a world of possibilities for anyone who wants to develop a distinctive solo repertoire, improve technique and create beautiful guitar arrangements! Martin Simpson Plays "Rosie Anderson & The Shearing's Not For You"
All 3 Acoustic DVDs On Sale For $69.95! Knowing that you may be reluctant to retune and head into uncharted territory, Martin Simpson has made a lesson that takes the �fear factor� out of changing the pitch of your strings. He shows you how to see the tunings, and understand them, not in notes but in intervals. Bringing a variety of tunings into focus - open G; open D; CGCFCD (his personal favorite), CGCGCE (banjo double-C) and DADGAD - he allows you to see the similarities with the set-up you already know. Martin points out that once you get used to the idea of altered tunings they are actually easier to play, and will give you more immediate and satisfying results, than standard tuning. Martin teaches you how to discover your own ideas on the guitar through an exploration of some of his favorite pieces: "Come Write Me Down, The Green Linnet, Icarus" and others. They will open up a world of new possibilities for you and will convey his joy in guiding you through the process. Martin Simpson has built a formidable career on impeccable musicianship and stunning guitar arrangements. His creative use of altered tunings brings brilliant harmonic colors, cascading notes and resonant voicings to every song he plays. 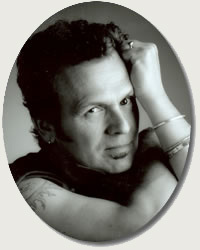 Martin Simpson is one of the most brilliant and lyrical fingerstyle guitar soloists on worldwide acoustic guitar scene. In this masterful book, Martin captures the melodic beauty, earthy rhythms, and haunting modal temperaments found in the American gospel tradition. Guitar solos include: "A Closer Walk with Thee, A Psalm of Life, Bright Morning Stars, Continue to Roll, Down in the Valley to Pray, Fly Away, Go Down Moses, In the Wilderness, O Jerusalem, Palms of Victory, Satan Your Kingdom Must Come Down, There's a Great Change, To Be a Pilgrim, Waiting for the Boatman, Wash in That Beautiful Pool, Watch the Stars, Wayfaring Stranger, What a Friend We Have in Jesus, What Are They Doing in Heaven Today, Wonderous Love". Martin Simpson Plays "Walking Blues"
Included in this volume are: "Medley: Dixie/Old Man River" - Martin Taylor, "Medley: The Banks of the Bann/Bantry Girl's Lament/Jock O'Hazeldine, Charlie's Boogie" - Martin Simpson "Man of Steel Blues, Subtropical Stomp" -Bob Brozman, "Julia La Belle" - Larry Coryell, "Clap, Second Initial" -Steve Howe, "The Siege of Delhi" - Martin Carthy, "Acoustic Spirit, Acoustic Funk" -Peppino D'Agostino, "The Southern Grove"- Martin Simpson & Bob Brozman, "Samiotisa, Oniro" - Tim Sparks, "Colin's Meadow" -Martin Taylor & Gordon Giltrap, and "Byker Hill" - Martin Carthy, Dave Swarbrick. A Systematic Approach to Open and Altered Tunings. In this book/DVD combination Martin teaches: how the important tunings relate to standard tuning and each other, available chord forms in each tunings, covers Open G, D, and C tunings, DADGAD tuning, and suspended 4th modal tunings. He uses chord diagrams, examples, on screen graphics, and close-ups. Martin Simpson Plays "Jock O'Hazeldine"